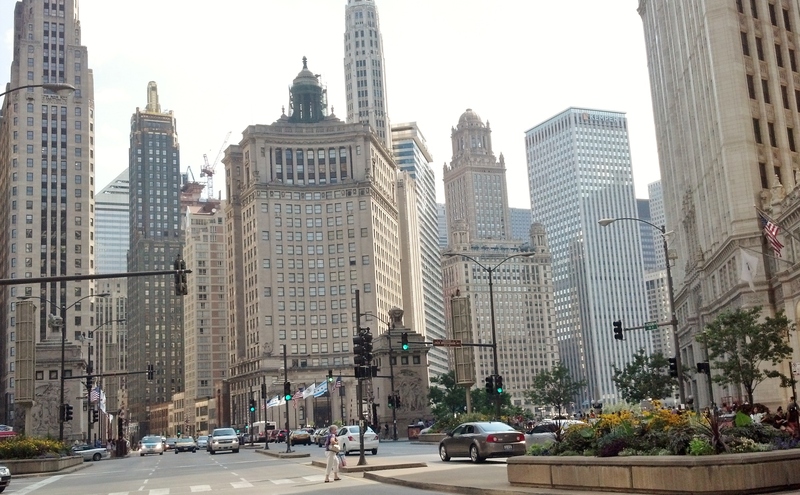 The Friday File – Chicago’s Magnificent Mile! I took this photo last year while I was on Michigan Avenue, facing south. Michigan Avenue is, for all intents and purposes, the, ‘tourist’ street. Designer and high-end shops line the way, all vying for the almighty tourist dollar (or $1,000)! As for me, why, I love to take a fast-paced stroll (in truth it becomes frightfully crowded, so it’s more of a hastened jaunt) for the sheer and utter love of the architecture. Nicknamed, “The Magnificent Mile”, this 13-block area includes stores and shops too outrageously expensive for this coupon-clipping Canuck! 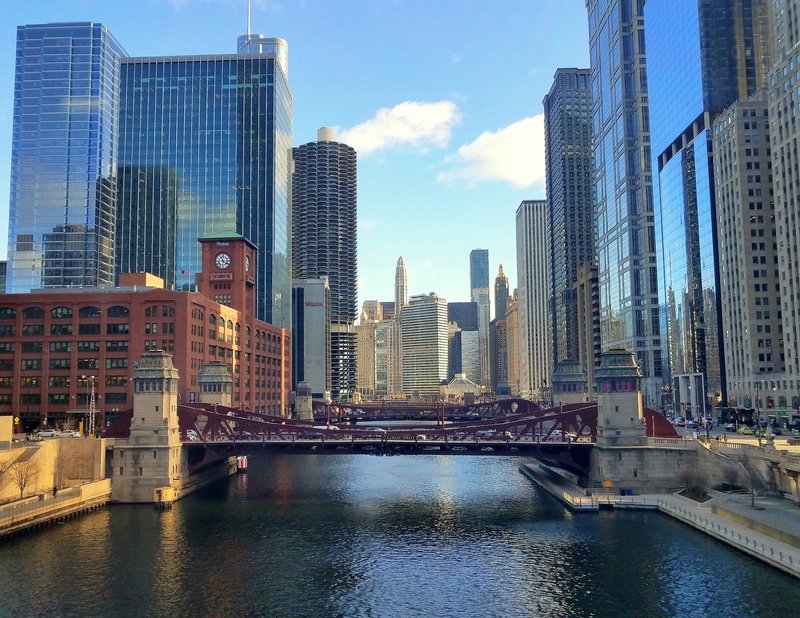 Although not visible in this photo, the Chicago River (recall the recent, “greening for St. Patrick’s Day”) is, ‘marked’ by sculptures flanking all four corners of the bridge. The Michigan Avenue Bridge allows visitors to easily access the riverfront by ramp or stairway.